"Stop with the lies!" 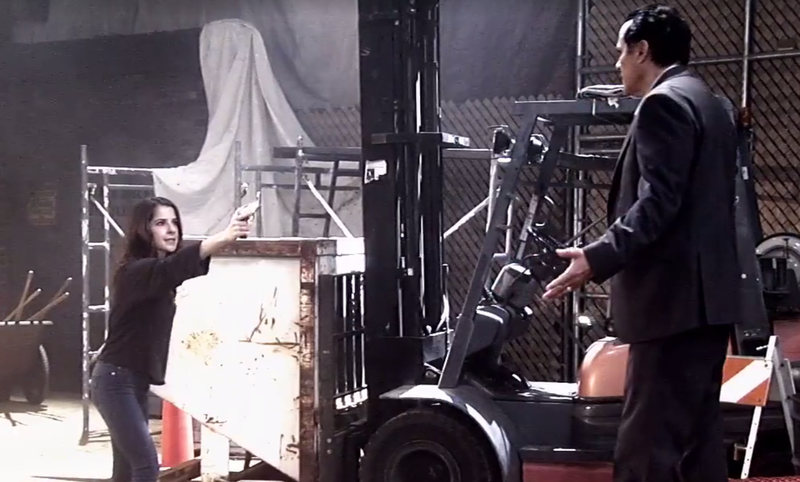 Sam shouts as she points a gun at Sonny. "It ends now!" What's happening on General Hospital during the week of July 24-28, 2017? Check out the day-to-day spoilers and a sneak peek video below to find out. Jason will stop at nothing to learn the truth; Dante gets a break; Nathan's column hits close to home. Sam confronts Sonny; Anna arrives with big news; Nathan gets a welcome surprise. whereabouts. Valentin claims to know nothing. Finn and Griffin make strides; Laura has her hands full; Obrecht seeks revenge.